I’ll let my roommate’s reaction speak on this recipe’s behalf. (gasp) These might actually be better than ABC sandwiches. 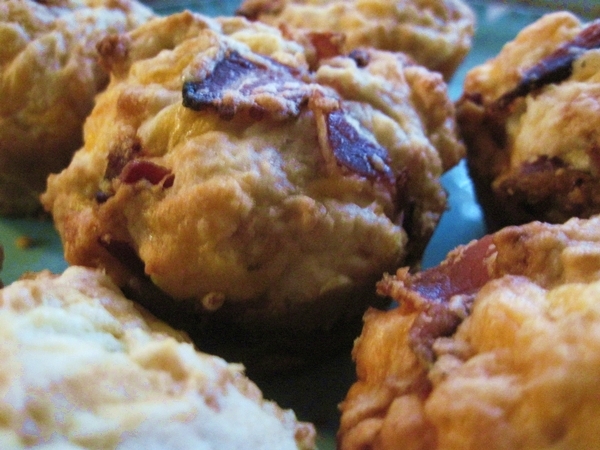 These are the best muffins I’ve ever eaten. Don’t even pretend you’ll just be eating these for breakfast. I know better. 2) Combine flour, sugar, salt, baking powder and baking soda in medium size bowl. 3) Combine milk, butter and egg in a separate bowl. Combine wet and dry ingredients. 4) Gently stir in cheese and bacon. Spoon batter into muffin cups, filling about 3/4 full. 5) Bake 15 to 20 minutes or until toothpick inserted into centers come out clean. Cool in pan for 2 minutes; remove to wire rack or plate. 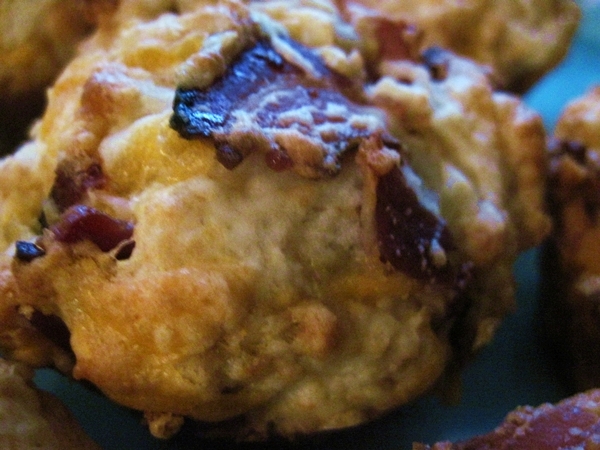 Next time, I think I’ll press a chunk of cheddar cheese into the center of each muffin. And maybe add a few more slices of bacon. 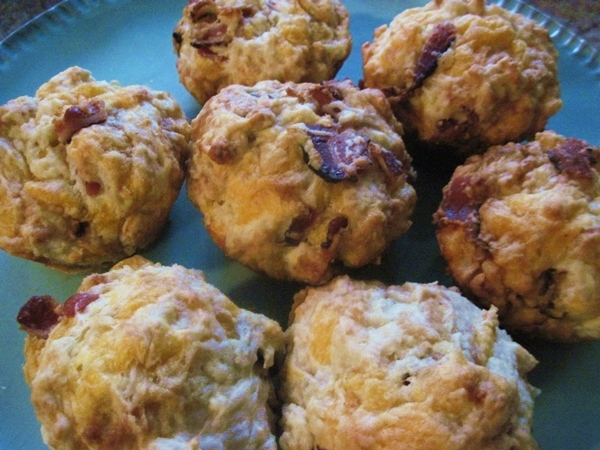 This entry was posted in breakfast and tagged bacon, cheddar. Bookmark the permalink. You’d love them for sure — but they definitely warrant a good long run before AND after!